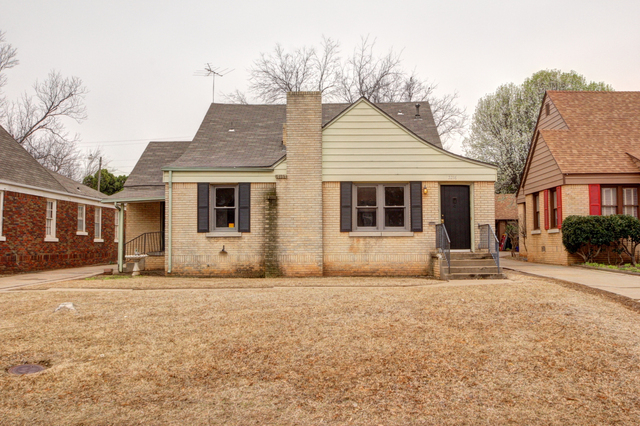 Lot Size: 54x128 Square Ft.
Great opportunity to buy a house in Shepherd historic neighborhood. House is being sold as is. Great floor plan w/ 3 bedrooms downstairs. One bedroom has a full bathroom w/ shower. Another full bath downstairs in the hallway. Upstairs is one large room that could be a living room or a bedroom. There is a 1/2 bath upstairs as well. Property has been recently painted on inside. Hardwood floors through out the house and brand new carpet in upstairs.